Gloucester have confirmed that Gerbrandt Grobler will join the English Premiership club ahead of the new season. The 26-year-old will make a switch from Irish regional side Munster, which he joined in 2017. His professional rugby debut though came for Western Province in 2012 and graduated to Stormers in 2013 while also enjoying a stint with Racing 92 in 2016. Grobler is excited about the prospect of featuring in the Gallagher Premiership and is looking forward to his association with the Cherry and Whites. "It’s a big competition to come and play in. In South Africa, the English competition is the one that gets aired the most, and gets the most attention, and you get to mix it up with the world’s best from all over. "The English league gives a huge opportunity to learn, every game is close, a contest until the end. That’s one thing that appeals to me, the opportunity to test yourself week in, week out. "Gloucester are a club that are on the up, and I want to be part of something with the same ambitions and goals as me. I want to be part of something that is building, and spend my future here. "The thing that excites me about this move, is joining a team with big ambitions to improve, to be consistent and build something really successful with the squad." Meanwhile, Gloucester Director of Rugby David Humphreys believes the experience of Grobler will benefit the Kingsholm unit in the upcoming campaign. 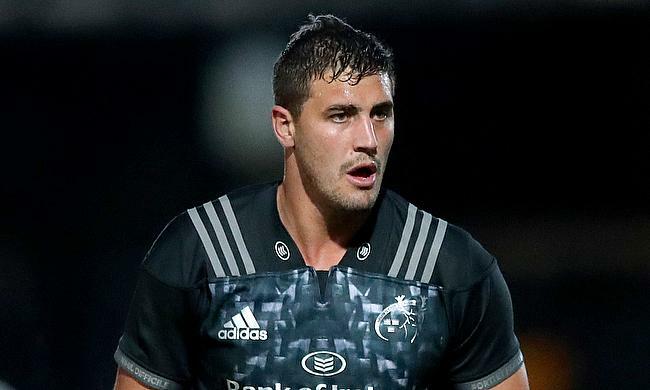 "Over the past couple of seasons, Gerbrandt has developed into a top quality second row and made a big impression during his time at Racing and Munster Rugby. He will bring the benefit of his experience from those top European clubs to Gloucester and his athleticism and skillset are well suited to Gloucester’s style of play. "We are excited to add another young, dynamic forward to our squad, and he will add a lot of quality and options to our pack." Gloucester finished the 2017/18 season at the seventh position after winning 11 out of the 22 games.